tonight we went to dinner at superior grill to celebrate my birthday with my parents... with ball and travel plans we celebrated it a few days early! then my parents took the kiddos home with them to spend the night and richard and I met some of our baseball team parents for a "parents team party" at the red shamrock in mt laurel! 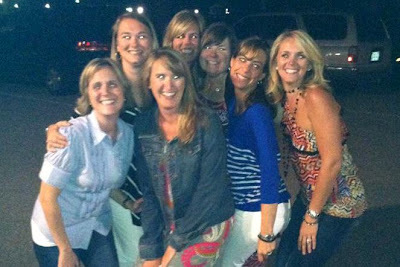 what a fun group of baseball moms... we had a great time. I am thankfully for times like this to just kick back relax and just enjoy the evening with friends. We needed this... life has just been busy!